I miss Angel Locsin. I never got the chance to interview her lately. I bet she's pretty busy with the Darna comeback slated this year. Anyway, it's pretty good to see her now in Smart and Sun Cellular ads like these that tell us great news how to save a lot with their plans. Take a look at this TRINET300 for example. You can send unlimited texts to Sun, Smart and TNT numbers, 5 hours of calls, unlimited Facebook access that's valid for 30 days. 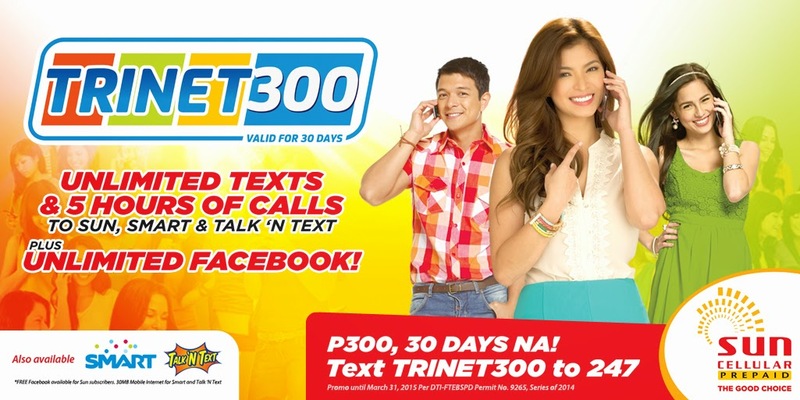 To avail of this, just text TRINET300 to 247. Or if you prefer a shorter period of time, you can do the UNLI TRIO 30 so you can get unlimited texts to Sun, Smart and TNT numbers, 30 minutes of calls to the same networks, unlimited Facebook access that's valid for 3 whole days. 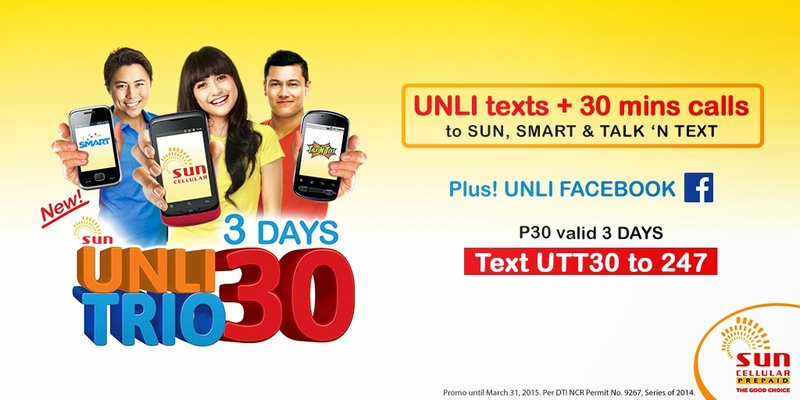 You can opt for this by texting UTT30 to 247 as well. If you want to check it out, you can visit SUN's website here. Now it's even easier to save a buck or two for the good choice in network services, of course it's Sun Cellular!